For ten weeks, from late November 2008 to late January 2009, Malcolm Gladwell’s Outliers remained at number one in the New York Times list of Bestselling Non-fiction. A curious coincidence between the date of Barrack Obama’s election victory and the date of his inauguration. But the popularity of the book and that of the new President of the United States is perhaps not coincidental. They both promise reader and voter alike great rewards – though at the price of enormous effort. Of the two, Gladwell is the more specific. We need no reminding of Obama’s mantra: Can we get out of this economic and Social catastrophe? Yes we can! Gladwell is on message. Can you become a master in your chosen field? Yes you can! But only if you are willing to spend ten thousand hours working on whatever basic talent you have in order to bring it to perfection. Ten thousand hours means three to four hours a day every day of the year for ten years! In the Irish School for Lacanian analysis we are beginning to see the fruit produced by some of those who have engaged in such a long term single minded effort. s « J on opening remarks to the conference Schizophrenia 1908-2008: – r*; ‘ csis and Psychoanalysis, this article reflects on the current status of yr-cr: analysis within modem American psychiatry and the fact that it no .T’svr occupies the privileged position it once enjoyed. While it recognises *_r psy choanalysis is no longer the dominant paradigm within organised Tr.criatry, it also suggests that the psychodynamic approach to : ~ . – Dathology still has a valuable contribution to make….. This article argues that while Freud accepted Kraepelin’s nosological divisions, he reversed the order of late nineteenth century conceptions of psychosis, objective-biological and subjective-biographical, without returning to early nineteenth century Romantic psychiatry or obviating the claims of biological psychiatry on heredity. It demonstrates that neither the conceptions of Freud nor Lacan represent a return to the early Griesinger’s unitary psychosis ” or to pre-Kraepelinian classificatory confusion. Helen Sheehan – From Gleann na nGealt to Schizophrenia: A Structure of Refusal? 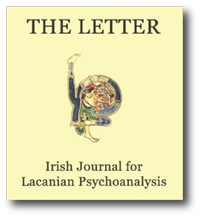 This paper examines some aspects of the history of mental illness in Ireland from a Freudian perspective. It draws on the work of Joseph Robins and of Michel Foucault and argues that the concept of Schizophrenia cannot be understood outside its social and political context. 1908 was an important year in the history of psychoanalysis. The first psychoanalytic Congress was held in Salzburg in the spring of that year and Freud tells us that it “brought together friends of psychoanalysis from Vienna, Zürich and other places”.2 One of the results of this Congress was the founding of a periodical called “The Yearbook for Psychoanalytic and Psychopathological Research” which appeared for five years under the editorship of Jung and the direction of Freud and Bleuler….. This article employs recent empirical data to confirm Eugen Bleuler’s view that delays between the appearance o f psychotic symptoms and treatment are harmful. It also bears out Bleuler’s less ominous view o f Kraepelin’s dementia praecox by demonstrating that when delays are reduced patients are less unwell. “The sooner the patients can be restored to an earlier life and the less they are allowed to withdraw into the world of their own ideas, the sooner do they become socially functional” (Eugen Bleuler, 1908).1 Emil Kraepelin distinguished manic-depressive psychosis from dementia praecox on the basis that those with manic depression had a later onset, and that people usually recovered between episodes, whereas those with dementia praecox followed an essentially downhill course…. This paper recommends that clinicians attempting to differentiate the structures o f neurosis and psychosis take account o f Freud’s thinking on the mental act o f negation, based on his clinical practice, as well as Jacques Lacan’s development o f Freud’s conception. The author argues that this is essential fo r any diagnosis which invokes the notion o f a loss o f a sense of reality. If in recent years, in other discourses, there has been a loss of confidence in the terms “neurosis” and “psychosis”, their differentiation remains crucial to psychoanalytic practice…..
Christian Fierens – Foreclosure and Discordance: Is Schizophrenia Thinkable? This article argues that schizophrenia, as the illness o f the psychical system in its generality, can only be approached by posing the preliminary question: ‘‘what is association?”. I f one thinks in terms o f a logic o f the “excluded third”, schizophrenia seems to be excluded from the field of psychoanalysis. But the author maintains that thinking in terms o f a logic of the “included third” is not only coherent with psychoanalysis, but results in what is said schizophrenically supporting the discourse o f the analyst. In his major work Dementia Praecox or the Group o f Schizophrenias (1911),1 Eugen Bleuler replaces “dementia praecox” with the group of“schizophrenias”. The main characteristic of the illness in question would no longer be either dementia or precociousness, but a splitting of the mind or a disturbance of associations. The invention of the term “schizophrenia” does much more, however, than rename a specific mental illness, for Bleuler speaks about the “group” of “schizophrenias” in the plural. ……. This paper demonstrates what Bleuler, Freud and Jung had in common in 1908, but it also highlights their theoretical differences in relation to the aetiology o f dementia praecox or what Bleuler that year called the “schizophrenias ”. It also reveals that both Bleuler and Freud had questions about Jung ’s diagnosing dementia praecox in Otto Gross and it points outthat Freud held Jung responsible for Bleuler’s distancing himself from the psychoanalytic movement. This paper deals with the problematic relation in psychosis to what Lacan calls “the big Other”. Referring to contemporary clinical examples, it argues that the world’s loss of meaning in Schreber was due to a lack of the lack that causes desire and that this was precipitated when he had no Name of-the-Father to which to refer himself and he lost his subjective domicile in the locus o f that lack, the big Other. Thank you for your invitation. I would like to compliment Jane, Helen and Barry for their very interesting remarks, and I will try to add a few elements. I think first of all that the Irish know in their very bones what the Nameof-the-Father is – the father is above all a name, a signifier. It is Irish (sic). The Irish know how the lack of this signifier did not allow them to be recognised in the field of reality, put men in the position of being emasculated and women of not being honoured, and how they were obliged to repress their original tongue. …..